Follow Mercedes-Benz on Instagram, and you'll soon learn two things: It posts several times a day across the brand's properties, and people eat it up. For instance, the carmaker's global account, with 4.9 million followers, routinely gets between 50,000 and 100,000 likes per post, while posts via the brand's U.S. Instagram handle—with 1 million followers—regularly achieve more than 10,000 likes. With Instagram implementing an algorithm, some marketers are worried about still being able to gain that kind of traction on the platform. But Mark Aikman, general manager of marketing services at Mercedes-Benz USA, isn't among them. "We understand their challenge," Aikman said of Instagram, pointing out that viewers miss 70 percent of its news feed. "Instagram wants to be more compelling." He also predicted that the algorithm is "going to favor the kind of content we want to produce." Don't just repurpose your Facebook content, Aikman warns. "It's important to create original content and not recycle images and videos," he explained. For example, the automaker's campaign around the New York International Auto Show used separate creative for 15-second clips on Instagram and longer-form video on Facebook. Aikman said his team approaches Instagram as a branding platform and Facebook and Twitter as more direct-response channels. "The buckets are a little different," he said. "I wouldn't try to tell my boss [Instagram] is going to sell cars." Additionally, Mercedes bolsters its social content with paid ads on Facebook and Instagram, supporting posts with dedicated pushes. In other words, one day, the brand may run ads solely on Instagram, and the next day a campaign may be live only on Facebook. 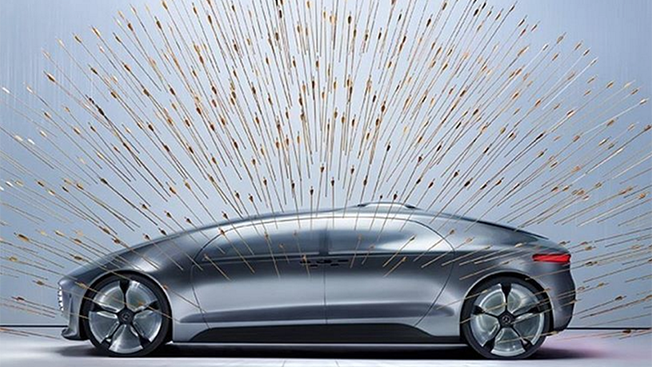 Why does Mercedes-Benz create so much content for Instagram? "We realize that millennials shop for cars and consumer content differently than baby boomers, and social is a big part of the mix," he said. An effort called #MBPhotoPass is one of Aikman's favorite examples when it comes to his team's social media. The endeavor involved Loki the Wolfdog, an internet sensation. The dog accompanies his owner, Kelly Lund, on travels around the world that are documented on social. For #MBPhotoPass, Mercedes-Benz asked Lund to take over the @MBUSA Instagram account and infuse it with content from his journey. The posts were published on both Mercedes' and Lund's accounts, generating hundreds of thousands of likes and shares. Such success is "about compelling content and telling powerful stories while meeting consumers halfway," Aikman said. Aikman said his Instagram strategy works because it's long-term. "It's a multiday, multimonth, multiyear journey with consumers," he explained. "Success is built on the quality of aesthetics. Imagery is everything on Instagram."